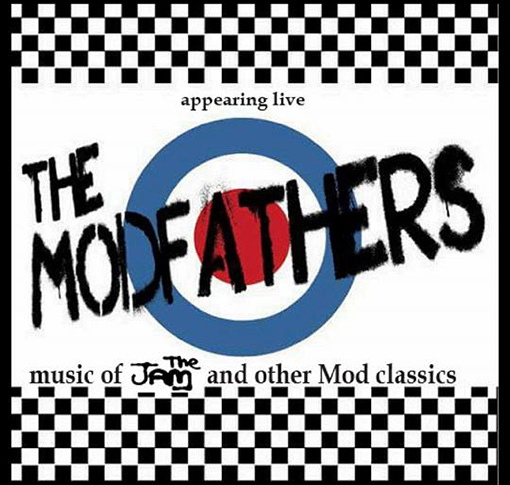 The Modfathers were formed way back in the year 2000 by Colin Doyle and Alan Bates and after a couple of bass players along the way; firstly Gavin Doyle and then Colum Ashmore, a 4th member Wayne Massey was added to play some extra guitar/keyboards. The band play the music of The Jam, The Who, Weller and other Mod classics. Having played all the top venues around the country, i.e. including Dublin's 'Academy' and 'Button Factory', Galway's 'Quays' and Waterford's 'Forum', to name a few, and all the top scooter rallies the band are well seasoned in performing the music of Mod! Expect to hear anything from 'My Generation' to 'The Eton Rifles' From 'All or Nothing' to 'Peacock Suit'. . . If you're into your 'Mod' this is the band for you. . . . KTF.